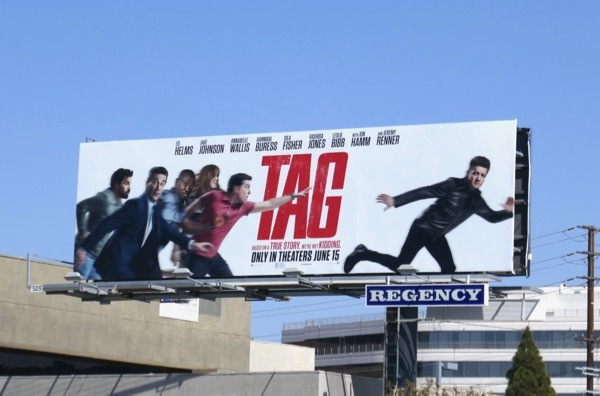 You may have missed Jeremy Renner's 'Hawkeye' in this year's Avengers: Infinity War blockbuster, but maybe the real reason he wasn't involved was because he was playing a years-long game of Tag. 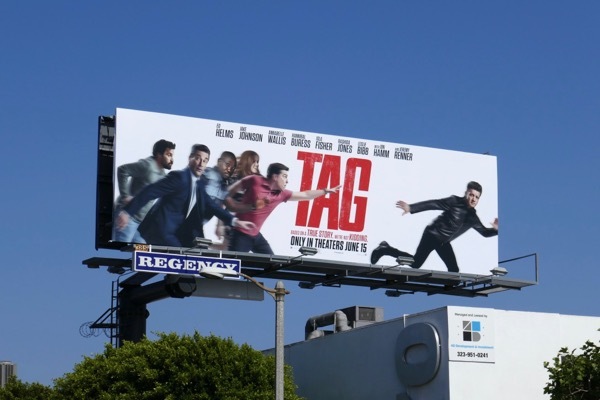 Based on a real-life long-running game played by a group of friends from Spokane, this comedy sees the competitive tight-knit friends and family trying to tag Jeremy Renner's 'Jerry', who has never been tagged. 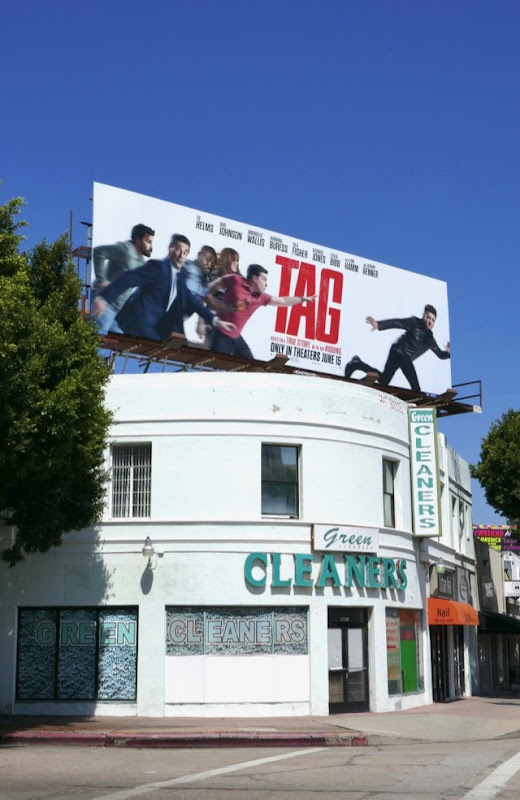 Chasing Jerry in this slice of summer fun are familiar faces like Jon Hamm, Ed Helms, Jake Johnson, Hannibal Buress and Isla Fisher. 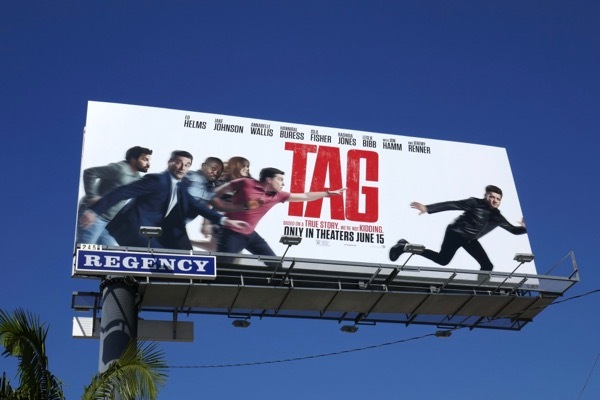 These Tag movie billboards were snapped along the Sunset Strip, Melrose Avenue, Beverly Boulevard, Bundy Drive and Pico Boulevard from May 24 to June 1, 2018. 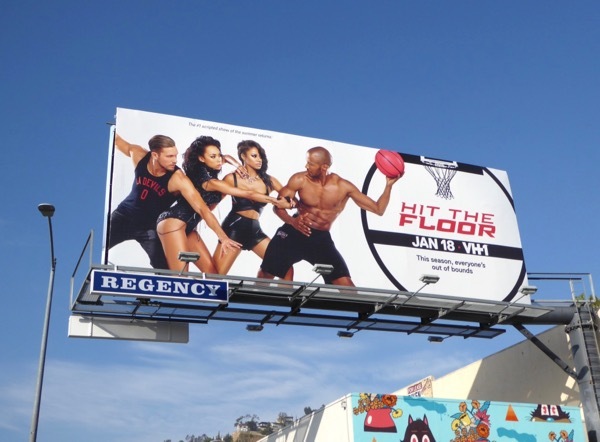 There's also something about this Tag ad creative that reminds Daily Billboard of this season three billboard for VH1's Hit the Floor series, snapped along the Sunset Strip on January 14, 2016. 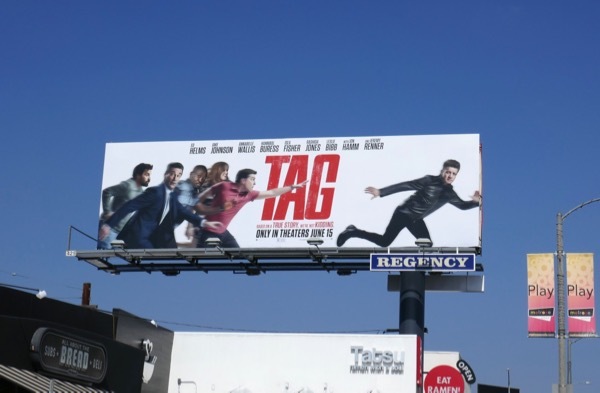 Maybe it's the white, red and black colour scheme and sense of movement. What do you think? 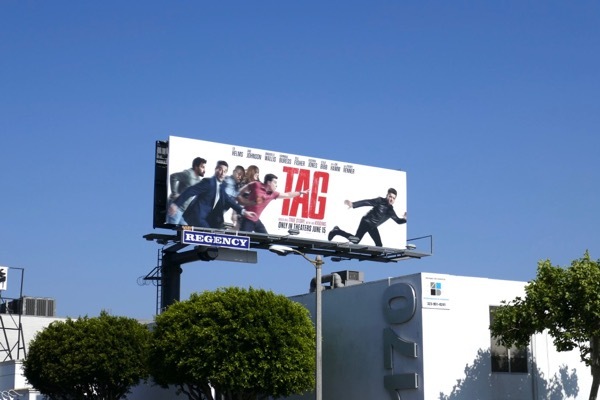 Apparently Jeremy Renner fractured his right elbow and left wrist while filming a stunt for the comedy, so it's no wonder he wasn't able to pick up his bow and arrows recently.